The San Francisco Giants have scored 373 runs this season, the third-fewest in the major leagues. They rank 24th in hits (849) and slugging percentage (.360), 26th in batting average (.241) and 27th in on-base percentage (.306). They have scored only 15 more runs than they have allowed. In comparison, the Boston Red Sox have scored 136 more runs than they have allowed. While the Philadelphia Phillies’ vaunted rotation gets more publicity, the Giants pitching staff has baseball’s lowest team ERA (3.09), batting average against (.228) and on-base plus slugging percentage against (.639). Knowing that he can put his pitching staff up against anyone’s in the majors, San Francisco general manager Brian Sabean needed to address one of the gaping holes in the Giants’ lineup to defend their World Series crown and fend off the Arizona Diamondbacks, who are three games behind them in the National League West. With the acquisition of Carlos Beltran, who will bat third in the order, Sabean did just that, immediately upgrading a weak order and making the Giants the favorites to win the NL pennant. Beltran instantly becomes the Giants’ most dangerous bat in the lineup. The switch-hitting outfielder is a genuine star, a five-time All-Star who has won three Gold Gloves and two Silver Sluggers in his career. He has enjoyed four seasons with at least 25 homers and 25 steals. He had a 40-home run year in 2006. In 22 career postseason games, he is a career .366/.485/.817 hitter with 11 home runs and 19 runs batted in, including his .435/.536/1.022 batting line with eight homers, 14 RBIs and six stolen bases in 12 games with the Astros in the 2004 playoffs. Beltran adds an air of legitimacy to the San Francisco lineup, a potential Hall of Famer with a postseason resume that can only help the Giants in October. At 34 years old, Beltran is quietly having another good season. He leads the NL with 30 doubles and is batting .289/.391/.513. No Giant has reached 10 home runs yet this season, and as a team, San Francisco has hit only 66 round-trippers. 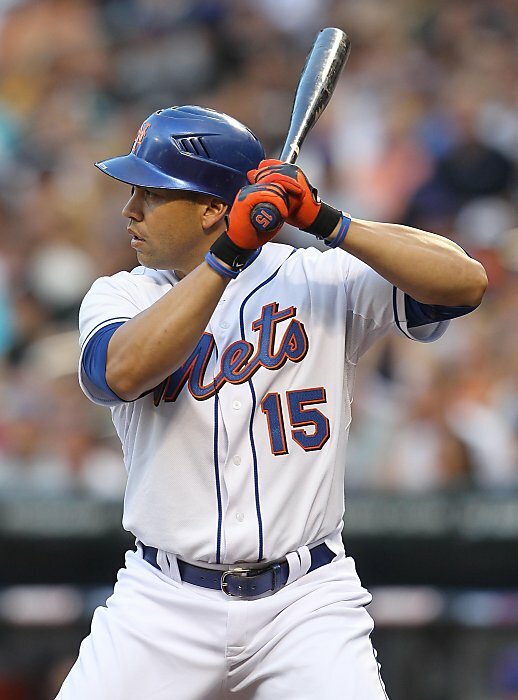 Beltran has hit 15 this year, playing in spacious Citi Field for the Mets. Only one Giant, Aubrey Huff, has driven in at least 40 runs this season. Beltran has 66 RBIs of his own. Beltran should help ease the burden on Pablo Sandoval (.298/.344/.485, nine HRs, 36 RBIs), Nate Schierholtz (.283/.325/.439, seven HRs, 37 RBIs), Cody Ross (.252/.341/.367, seven HRs, 30 RBIs) and Huff (.239/.294/.362, nine HRs, 47 RBIs) in the middle of San Francisco lineup immediately. The San Francisco Giants’ starting rotation and bullpen forms the deepest and most dominating pitching staff in the majors. However, a porous offense made a repeat trip to the playoffs, let alone a second consecutive World Series championship, a question. 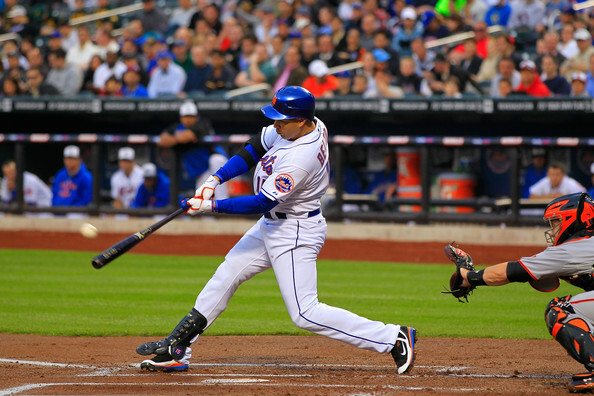 The Giants have found the answer to some of their offensive woes in Carlos Beltran. Beltran’s talent as a hitter and his postseason pedigree should immediately pay dividends for San Francisco. While he cannot transform the Giants offense overnight, he becomes the San Francisco’s most dangerous hitter, a power threat in the middle of the order who should help ease the pressure on the rest of the Giants offense. Now that the San Francisco lineup finally has a dynamic bat in the middle of the order, the Giants have to be considered the favorites to repeat as NL Champions. Carlos Beltran will have a massive impact on the San Francisco lineup, one that may just well push the Giants over the top again towards a World Series championship. This entry was posted on July 28, 2011 by Scott Kornberg. It was filed under Carlos Beltran, San Francisco Giants and was tagged with Aubrey Huff, Carlos Beltran, Cody Ross, Giants, National League, New York Mets, NL West, Pablo Sandoval, San Francisco Giants, Scott Kornberg.